My mom has been in either a hospital or a nursing home setting for the past 8 weeks. And we are trying to get her home – like really trying hard. I will spare the details, but it literally has been one step forward and two steps back. You see, she was diagnosed with cancer and received chemo/radiation treatment last fall (6 months ago). And she is struggling in the recovery phase of the treatment. At this point, the cancer is not the issue but the side effects of the radiation treatment. My dad, who is in beginning stages of dementia, is still living at home with my mom. Now, let me just state, my dad has a few little “qwerks”. Sometimes those qwerks makes it a challenge to take him to visit my mom in the hospital. One challenge is his daily schedule. He goes to bed very early and gets up very early. Oh, let’s face it – it’s more like the middle of the night! Because of that, his daily meal schedule is much different than mine. He likes to eat lunch between 9:30-10:00 a.m. And at his age, there’s no changing it to a “normal” schedule. But, I have learned that I need to meet him where he is at in his life and I ‘m not going to change it. So I just go with the flow and let it roll. By accepting where he is at in his life, I am at peace and my attitude is much better. Life lesson. During our trips to the hospital, I pick him up at his home. 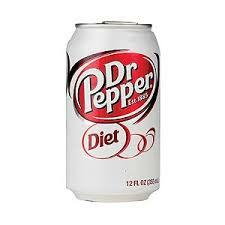 When I walk into the kitchen there on the table are two Diet Dr. Peppers – one for him and one for me. An unspoken gesture. He drinks a Diet Dr. Pepper every single day. Even though I would never drink a Diet Dr. Pepper at 7:30 in the morning at home, there is no way I could refuse. Just a simple and special gesture. On our trip I would ask him questions like, do you have enough food, do you need money, do you need some laundry done, and what else do you need? And for the most part, his answers were usually no. He would then tell me how quiet the house is and how lonely he is. He says, “I need someone to argue with!” followed by a half-hearted laugh. My answer is always the same, “Yes, dad, I know. We are trying to get mom home as soon as we can.” But it seems like every time we turn around, there is another setback. It has been heart-wrenching. And usually these phrases would get repeated numerous times during trip together. And it’s perfectly fine with me. It is the time we are spending together, just the two of us–no matter how ordinary sitting in a car and drinking a diet Dr. Pepper at 7:30 a.m. it may seem to others. And as I reflect, sometimes looking at the ordinary and realizing it really isn’t ordinary. These are the special moments. I know I will look back at this time and, as painful as it has been with what my mom is going through, these pleasant moments with my dad will stay with me. And I know I will never drink another Diet Dr. Pepper without thinking about my dad and our road trips. It’s about life’s simplec connections. Do you have any special moments like this? Some that may see ordinary but are anything but ordinary? Are you recording these moments so you don’t forget? If so, how? Dealing with some unknowns similar to yours. 92 year old Mother lives alone on the farm since her husband passed suddenly in 1990. Trying to keep her their as long as possible. Stop to visit at least an hour everyday. Mind still good (unbelievable memory) but knee’s are terrible. Can barely navigate now, choose not to have knees replaced years ago. Says I am to old to go through that degree of surgery. Tough choices to make coming up, like them or not?? Nice story Wanda. I think how this man, your dad is brother to my own Gramma Senne and the nature of it all. My interest in my family tree has always been part of my life since I was young, but each time I read about one of her family members, my mind wonders more about their past. The Schott family is very tight and it always impressed me how they made it a priority to get together every summer and at Christmastime. What a gift they have left their decentdents! Pam Z. Thank you for sharing. I am visiting from Grand Central. Such sweet moments. I was just talking with my nephew about the Saturday mornings my dad would take me fishing with him. Aging parents are such a challenge. Both of mine have passed, but the memories are evergreen. one of many memories is, when dad would say “wake me up when i make seargent’! This was very touching. My Dad is gone now but I have so many memories of him that are focused around driving. Ordinary moments like you said but moments I sure wish I could relive one more time – and I do relive them in my heart and in my mind and I share some of them with my granddaughter who sadly never met him. Just stopping by from the GRAND Social Linky Party. Thanks for sharing! Wow,you are definitely in the middle of things….I feel for you, Wanda. This is a great piece….I love that Dr. Pepper works! I will send prayers and good wishes your way that your mom recovers soon and can get home! This story of being in the middle with aging parents and five grandchildren was just selected for publication on MORE magazine’s online blog! So glad to have found your site again! Wanda, thank you for sharing your heartfelt emotions in this format. I have so many warm feelings and good memories during the years of my dad’s failing health too. 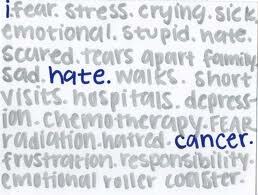 Also, the anger that goes with the cancer, chemo and radiation!!!! Always remember the Diet Dr Pepper moments! I know the feeling. Time with my Dad the last three years of his life are so precious. Reading this makes me cry, but it is a good cry full of memories, thank You for sharing.